Around May a combination of fatigue, expectation, and panic hits. The school year is coming to a close. Parties, field trips, award ceremonies mount up and I barely keep the schedule straight. Then, the weekday morning comes when I don’t have to wake anyone up, fix any lunches, or throw on half clean clothes to drive them to school. That first morning of a relaxed schedule feels so good. It feels so good…for about 2 hours until kids are roaming the house restlessly looking for something to do. 180 days of scheduling and now…no schedule. It’s what they dreamed of so many mornings. No school! No schedule! Do what I want all day long! Livin’ the dream! Except, the dream transitions to nightmare pretty quickly. Day one and I already heard the word BORED. I’m BORED, mom. Body thrown down hard on the couch which inches back under the weight of the boredom. I quickly think of about 10 things that need to be done around the house. Despite boredom, none of the work I describe seems like the cure to them. No, I don’t want to take clean off my Lego shelf for new creations. I don’t want to pick up my room, transfer my dirty laundry to the washroom, or help make breakfast. It’s easy to mock these little souls in their struggle. All year they’ve wanted this and now they can’t figure out what to do. And! I’ve told them all year whenever they wanted to skip school that it’s not what it seems! Did they listen? No! And who was right? Me! They didn’t believe me and I want to point it out. Mom was right. Vindication! But, kids are not so far from us adults. They express it more clearly and constantly, but it’s there in us, too. In me. My dream days of no commitments often turn into a frustrating search for significant rest. My idea of work and rest gets twisted, too. 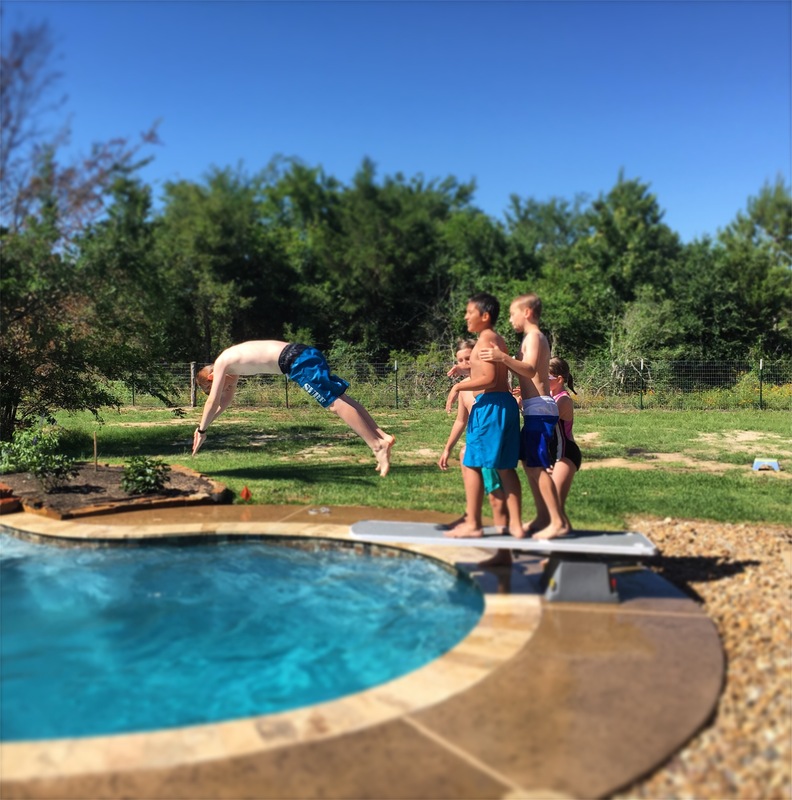 Summer is stinkin’ hard for kids and moms alike! Some of my freedom is curtailed. I now must lead and direct the day, coaching my kids more constantly than I am used to doing. Conflicts happen and I must step in. Food must be fed and the dishwasher now gets loaded and unloaded one and a half times a day. I gotta get over it and embrace this special season, summer. The kids are home and I like my kids. So, where do we go from here now that many weeks of summer loom in the near future? Well, for me the first step is to embrace the crucified life, accepting that it doesn’t get to be about me all the time. And, embracing the Spirit filled life, taking my sin and confessing it before the Lord, asking Him moment to moment for what I need to respond well to the new challenges. The sermon I heard yesterday on leadership applied directly to my situation as a mom. Lead my kids spiritually. I can be a lot of different kinds of mom. The well-managed mom. The free range kid mom. The fun mom. But, if I’m not a mom who leads both the soul and body of my child, I don’t think I’ll be all that God calls me to be. So, some plans we instituted for summer pass muster. Kids need to do chores before they veg. Then, they don’t need to veg too long. Mom needs a pause in the middle of the day. Books are good and you will read over the summer. But then, I feel that I must lead into the deeper issues of life. I want them to learn that work can be satisfying. Rest isn’t just the selfish pursuit of our own desires but a chance to fill up spiritually what leaks out over the course of our life in this world. And, recreation is a chance to embrace our God-given abilities and delight in His creation. What an opportunity summer is to build into my kids lives! I’m pretty sure, though, it will take reading and rereading my own thoughts to remind me…especially at 10 am when the word BORED has already entered the day despite dishes stacked in the sink and Nerf bullets scattered everywhere. Amazing insights, my friend. Beautifully written and spot on!